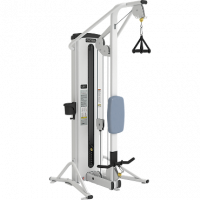 Patent pending "slack free drive system" provides immediate engagement which broadens the range of motion because resistance begins as soon as the exercise begins. 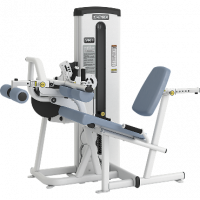 The Cybex Duals line is an extension of VR1 that further capitalizes on the compact footprint by using multi-function mechanisms to get two exercises in one machine. 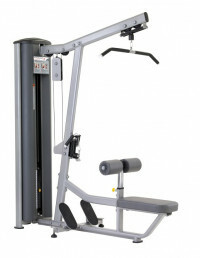 The VR1 Biceps/Triceps is extraordinary in its simplicity. While the patterns are familiar to anyone who strength trains, it is the small details that make the difference. 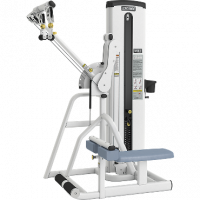 For facilities that are watching their budget and operate in limited space, the VR1 Duals are the answer. 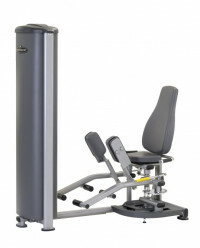 An extension of the VR1 line, Duals further capitalize on the compact VR1 footprint by using multi-function mechanisms to get two exercises in one machine. 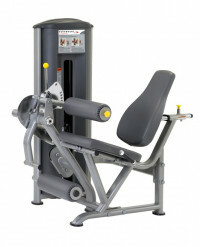 An extension of the VR1 line, Duals further capitalize on the compact VR1 footprint by using multi-function mechanisms to get two exercises in one machine. 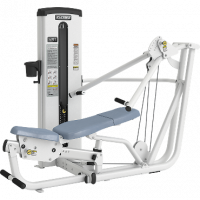 The Paramount FS-50 Leg Extension/Leg Curl features a 5 position back pad and 6 position leg curl thigh pad to accommodate a wide range of users. 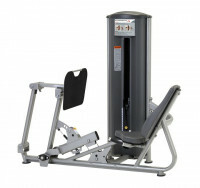 The Paramount FS-51 Leg Press features a low profile design and ergonomically positioned handles for easy entry and exit. 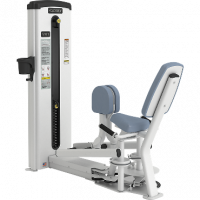 The Paramount FS-52 Inner/Outer Thigh features swiveling thigh pads that are easily accessible from the seated position and accommodate both Inner and Outer Thigh exercises. 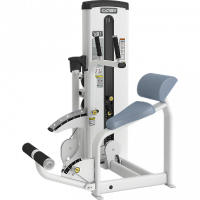 The Paramount FS-53 Lat Pulldown/Seated Row features an 8 position thigh pad that easily adjusts to accommodate a wide range of users.